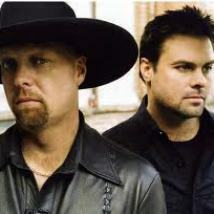 Montgomery Gentry performs Friday in Tulsa. Montgomery Gentry is back with a new album, a new label and a renewed sense of musical purpose. Eddie Montgomery and Troy Gentry are poised to stake their claim as one of country music’s all-time greatest duos. The two Kentucky boys will perform this weekend at River Spirit Event Center in Tulsa. The duo’s new collection, the aptly titled Rebels On The Run, brings Montgomery Gentry fans back to the beginning.